A busted hot water heater in a beautiful Bald Head Island beach house led to the need for major water cleanup. SERVPRO of Brunswick and South Columbus county was up to the task and restored the home to its prior condition. A clogged HVAC drain pipe ed to a pan overflow and water coming through a Leland homeowners ceiling. 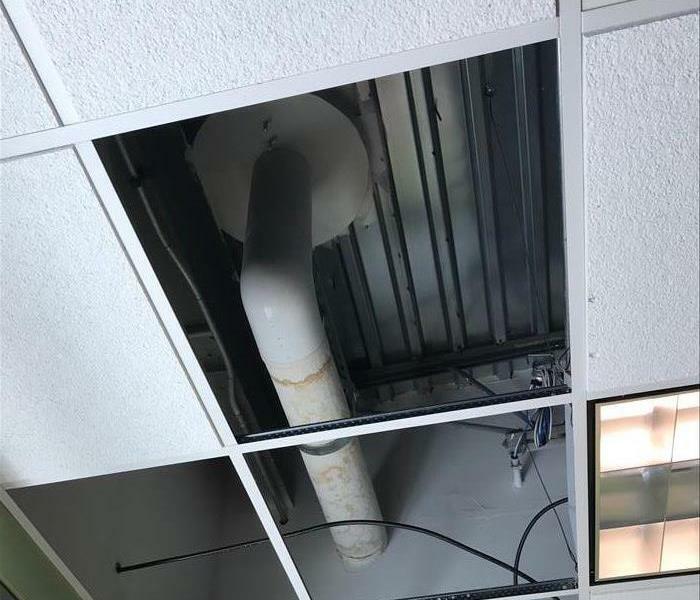 Luckily, the damage was minor and SERVPRO was able to repair the ceiling after the HVAC was fixed. A lightning strike in Bolivia did some minor exterior damage to the home's siding. SERVPRO was able confirm that there was no damage inside and help repair the siding. A Leland area homeowner awoke to find the overnight storm had damaged his roof, his ceiling, and living room. Once he got his roof fixed, SERVPRO was able to get everythin inside clean, dry, and fixed! 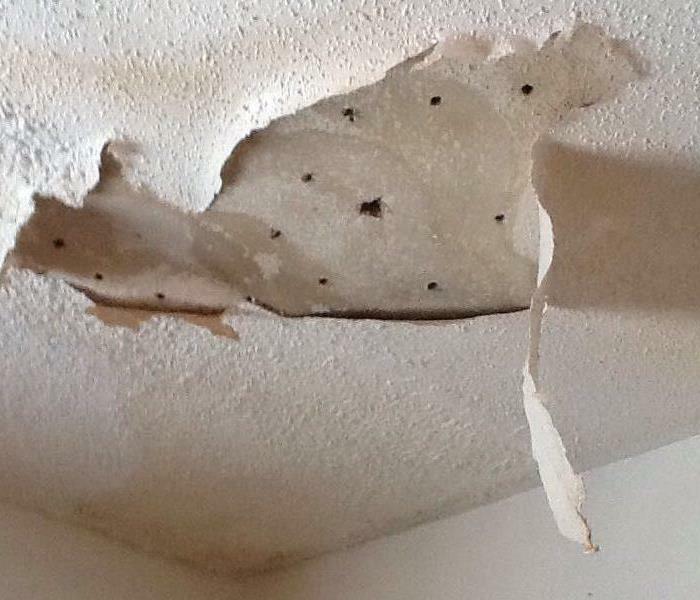 Owners were surprised to find some mold growth in their summer beach retreat in Calabash. The didn't hesitate to call SERVPRO of Brunswick & South Columbus Counties to remediate the issue. A homeowner in Shallotte called SERVPRO to come out and clean up some mold they found in their beach house. SERVPRO technicians were able identify the source get it fixed and clean the affected area. 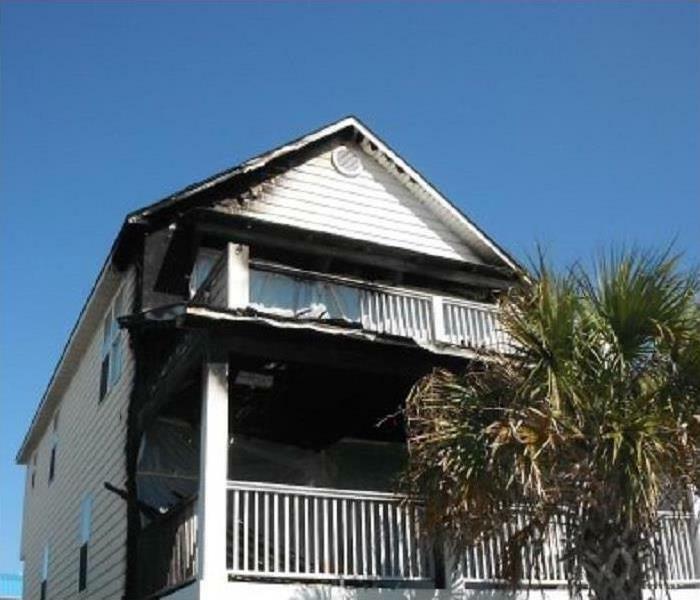 A condo in Ocean Isle Beach recently experienced a fire after lightning hit there deck. SERVPRO was able to repair the damage and remove all traces of the fire. "Like it never even happened." 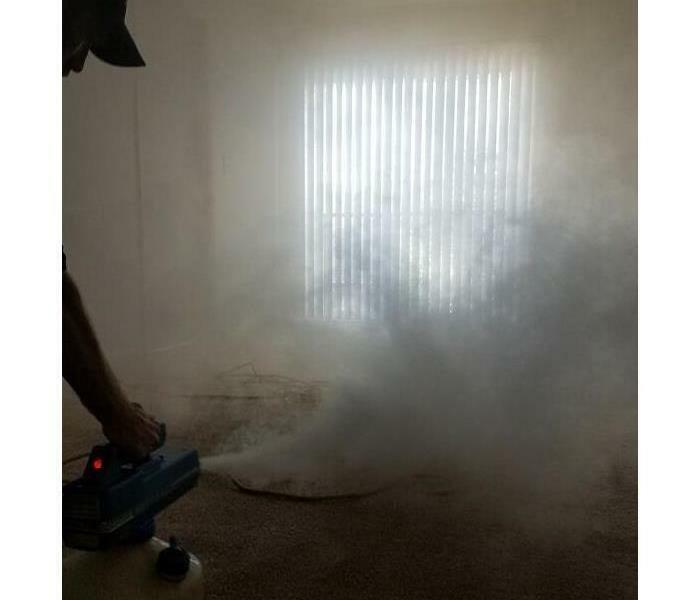 SERVPRO was able to help this owner rebound after a sizable fire affected there beach retreat. SERVPRO arrived at the home and cleaned the soot and smoke damage. "Like it never even happened." A pipe burst in an exterior wall led to major damage(3 floors) in this Leland office building. SERVPRO was able to handle the drying, clean-up, and repairs. "Like it never even happened." 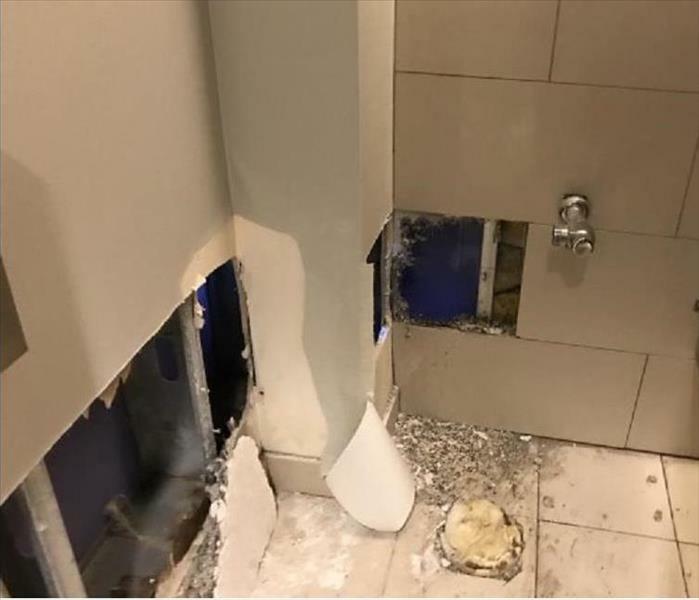 A Pipe leak in a bathroom in a Brunswick County firehouse resulted in extensive water damage. SERVPRO was able to get everything dry and cleaned up. "Like it never even happened." An ice storm in January brought down the roof in a golf course snack bar in Calabash. SERVPRO helped get a roofer out to help with the roof and then completed the clean-up and repairs inside. They were ready for business in no time! During an intense storm over the weekend, a local Leland carpet store experienced roof damage that led to water in the owners office. A roofer fixed the roof and SERVPRO cleaned and dried up the water in the office. A leaking dishwasher in a home in Leland lead to some major water damage. Apparently, the dishwasher was leaking and the water need to be cut off to stop the leak. SERVPRO got everything dry, cleaned up, and repaired. 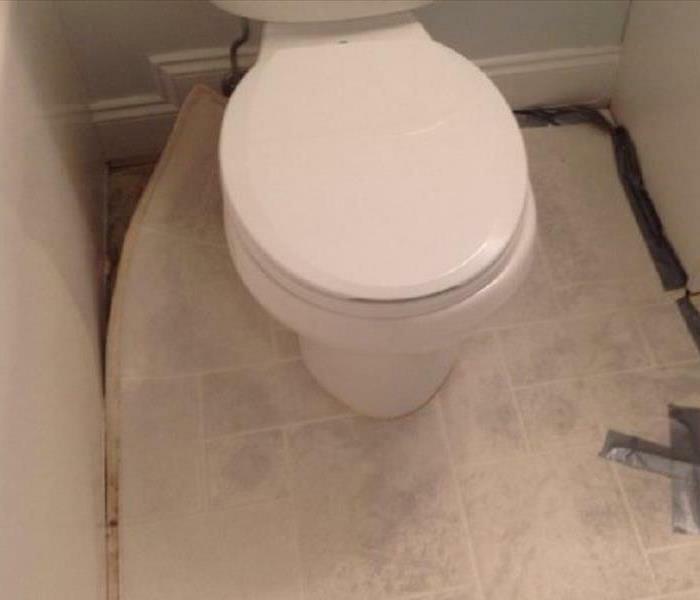 After discovering some discoloration in their bathroom flooring, Southport homeowners called SERVPRO to inspect. 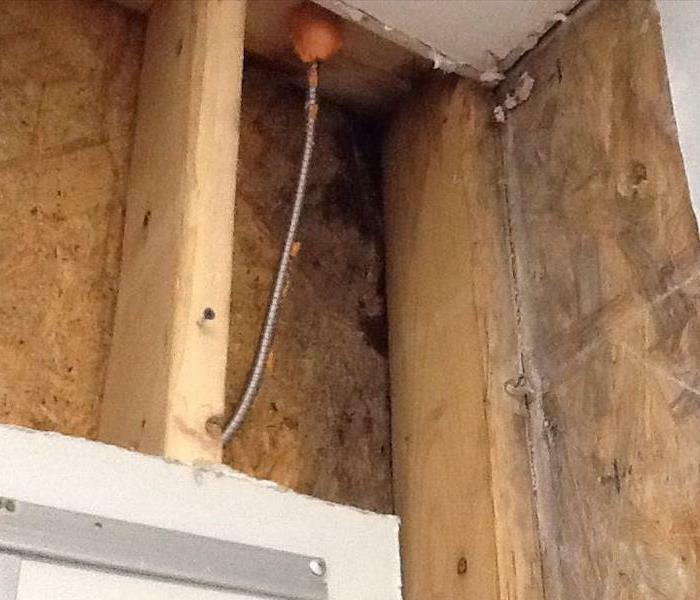 The cause was a leaking toilet which led to a small amount of mold which needed cleaning. Afterwards a new floor was installed in the bathroom. A homeowner in Beville, NC, when cleaning her house, discovered an odor and some damage in a exterior wall. After inspection and finding a roof leak as the cause, the mold within the exterior wall was remediated and repaired. A local resident in Ocean Isle Beach called up with concern that she may have a leak in her kitchen behind her refrigerator. Upon further inspection once entering the crawlspace located below the leak, a large amount of mold was detected. Leak got fixed and the mold in the crawlspace and under the floor was cleaned and repaired. Homeowners Tom and Jill came home to a fire in their garage after a short-circuit in a outlet in the wall. After calling and consulting with SERVPRO and their insurance, SEVRPRO was able to clean, fix, and make the garage good as new! 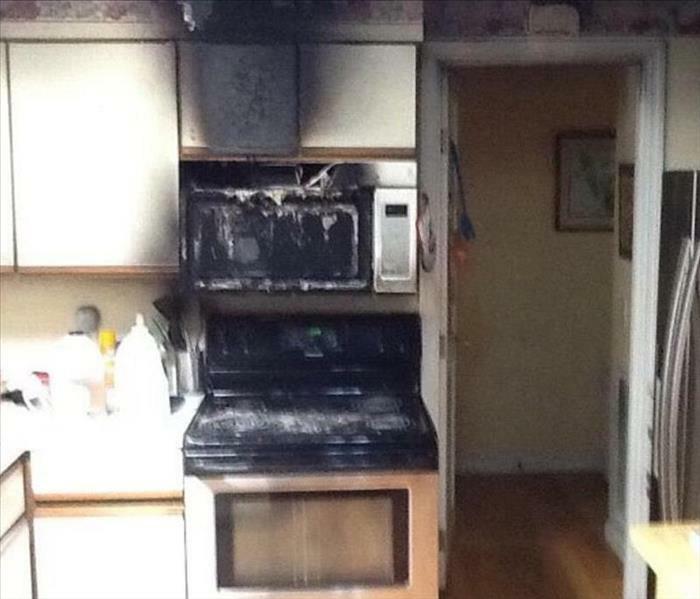 A microwave recently caught fire in a local Shallotte area home. The homeowner knew to call SERVPRO from a previous water issue. SERVPRO was able to get the kitchen back to new! With the very bad summer storm season that we have be experiencing, a local Leland resident's house was struck by lightning. Luckily there was no fire and no much damage. SERVPRO was able to help get things back to their prior condition quick. Mold damage to the kitchen floor of this Southport apartment traveled all the way through the drywall and cabinets. We needed to remove the lower part of the drywall to mitigate the mold damage in between the walls properly. If mold damage affects your home or commercial facility, call SERVPRO of Brunswick & South Columbus Counties. We proudly offer 24-hour emergency service. Leakage from an overhead HVAC allowed water to trickle onto the ceiling and eventually led to the paint blistering. The HVAC system was fixed by a contractor and the moisture in attic was corrected with swift drying and dehumidifying. The was then replaced due to the water damage. 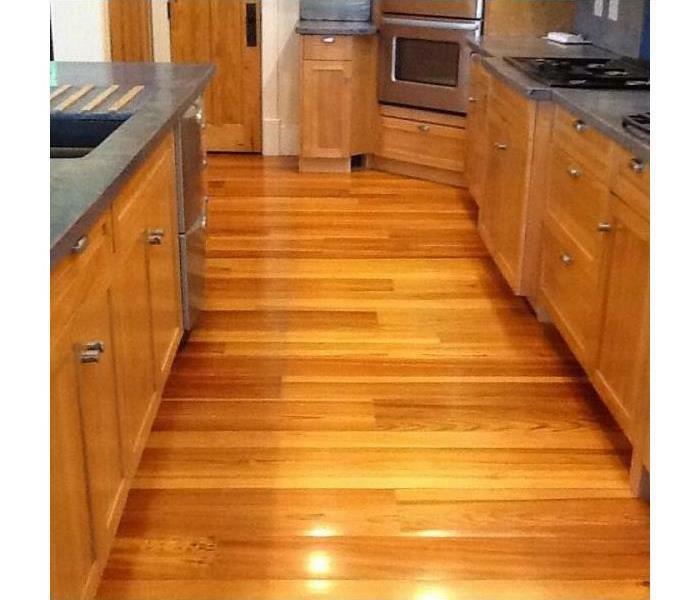 The Leland homeowner was pleased with the effective restoration done inexpensively. 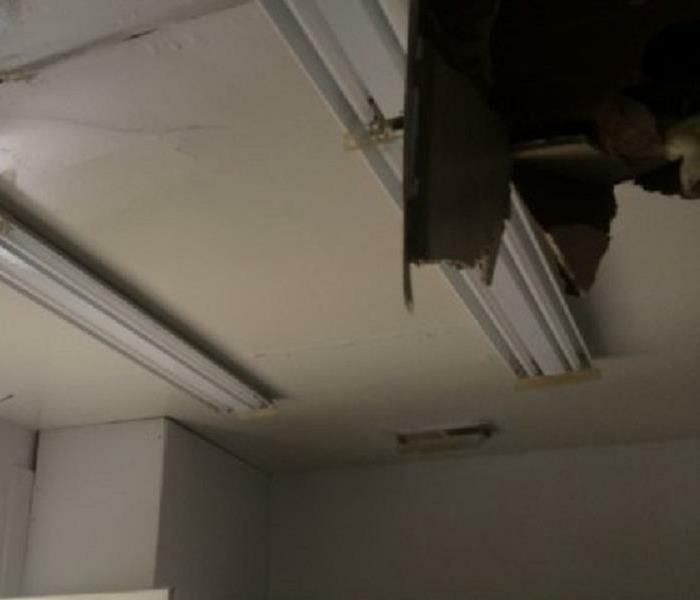 A local Southport business had a leak in their roof which led to their showroom being flooded. SERVPRO was able to get everything dried and cleaned and back open for business. "Like it never even happened." Arrived on scene to standing water on wood floors. Floors needed to be replaced due to the amount of water and time before we were called in to respond. 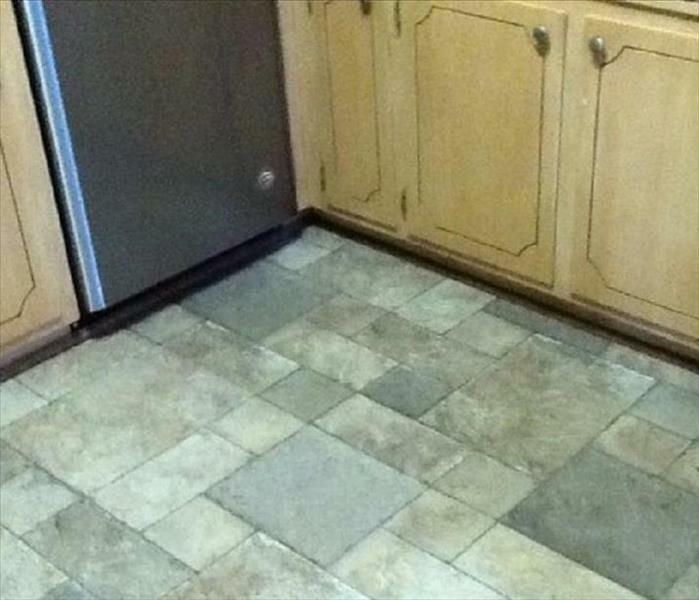 After dried and floors replaced, it looked "Like it never even happened." SERVPRO of Brunswick and S. Columbus Cos. was working at an apartment complex in Southport to help remove some odors. The technicians used a combination of fogging machine and ozone to tbattle the odors. With the odors removed the apartment was ready to be rented again! This was the aftermath of a kitchen fire at an apartment complex in Calabash. The owner was amazed at how quickly we were able to clean the soot from her kitchen walls, A/C vents and ducts. SERVPRO of Brunswick and S. Columbus Cos. makes disasters "Like it never even happened." Mold damage was extensive at this Southport commercial facility. 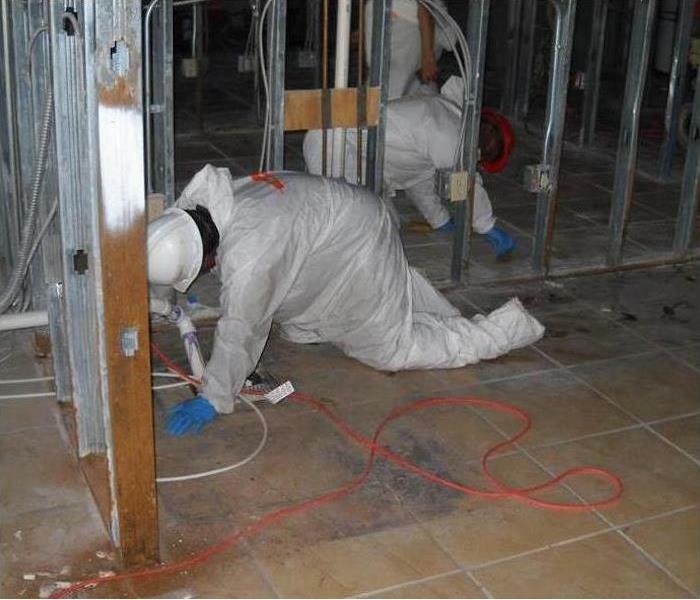 SERVPRO needed to perform a comprehensive demolition of the affected materials and properly dispose of them before mitigating the mold damage. 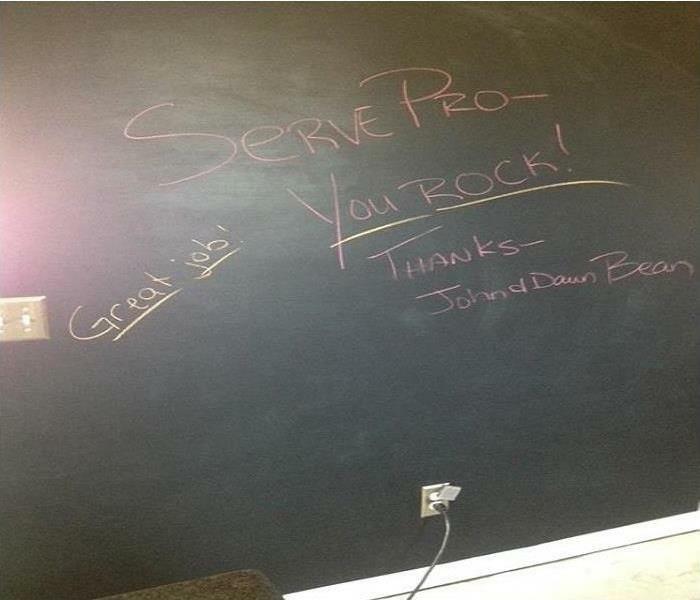 If you discover mold damage at your place of business, call the experts at SERVPRO of Brunswick and S. COlumbus Cos.
Nice encouraging note left at the home of a customer who had a water loss due to a pipe burst in their home. The call came in at 11:00 pm and our crew was able to respond and take care of the damages. 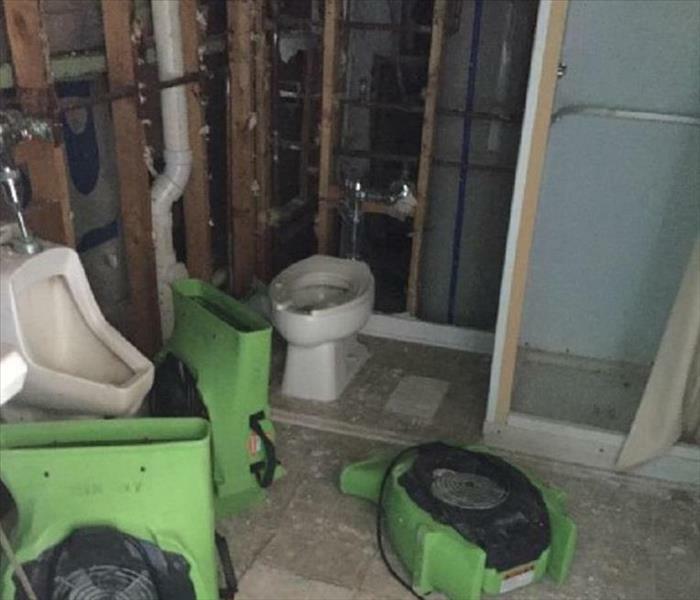 The homeowners were very happy with everything SERVPRO of Brunsiwck and S. Columbus Cos. did to help with this disaster. This photo was taken on the 3rd floor of one our largest commercial clients. 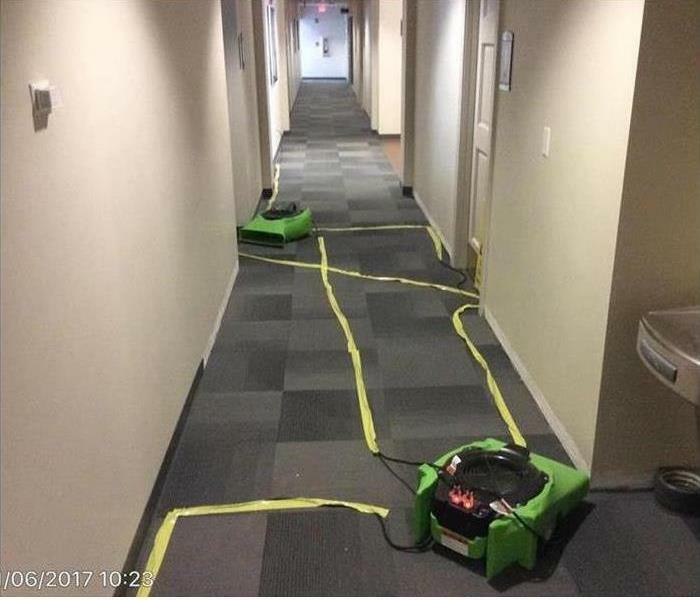 SERVPRO of Brunswick and S. Columbus Cos. was able to operate around and work with the tenants of this floor to ensure they had no business interruption. Our highly trained IICRC Certified Fire & Smoke Restoration technicians rushed to the scene, removed the water and then the charred damaged debris. We sealed the structure from the elements and vermin and then continued with the fire damage restoration process through to completion. 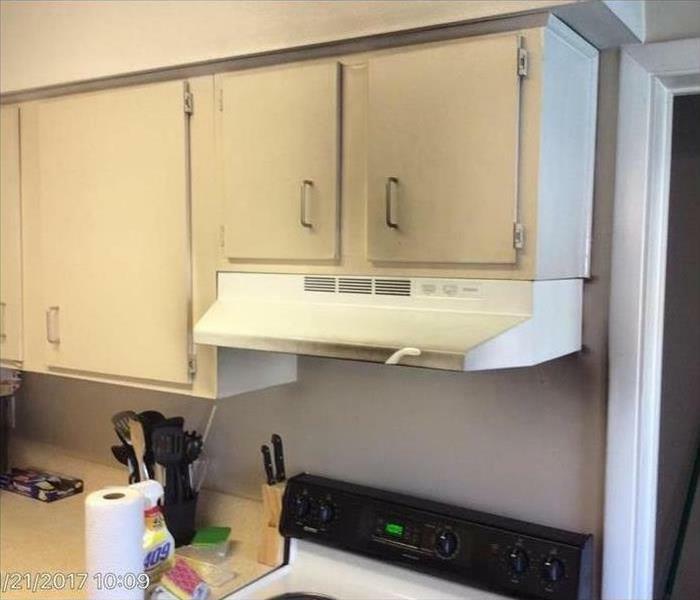 The homeowners were thrilled with the results.